The beautiful and durable UV-cured pre-finishing option certified by the Scientific Equipment and Furniture Association (SEFA). 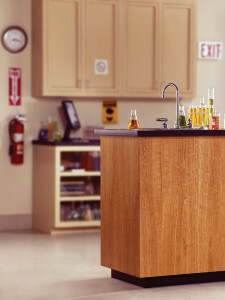 This chemical resistant finish is perfect for labs, schools and other installations that demand the performance of a laboratory grade finish. 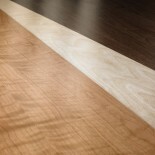 Columbia Forest Products launches UV LabCoat™, a new pre-finished hardwood plywood with a premium topcoat that offers even more depth, clarity, and durability than our standard UV offering. It has earned the certification of the Scientific Equipment and Furniture Association (SEFA), enabling it to be used in labs, schools, institutions and other commercial installations that require the chemical resistance of a laboratory grade finish. Learn more about this product.